Launched recently in Ireland on the all new Ford Focus, FordPass Connect onboard modem technology turns the vehicle into a mobile WiFi hotspot with internet connectivity for up to 10 devices. FordPass Connect also enables live traffic updates for the navigation system as well as providing up to the minute information on the location of nearby service stations, parking and food or leisure options. Using the FordPass mobile app, a vehicle owner can remotely control some key functions on a connected vehicle including, ‘door lock and unlock’ – taking away that occasional doubt sparked by the question, ‘did I lock the car?’ and ‘vehicle locator’ – helps owners to find their car in large car parks. You can also control ‘vehicle status’ – among other items, it can check fuel levels, alarm status and oil life and ‘remote start’ – (vehicles with automatic transmission ) provides the ability to de-ice the windscreen and warm the car on cold mornings. The FordPass mobile app is available for download for both Apple and Android devices. 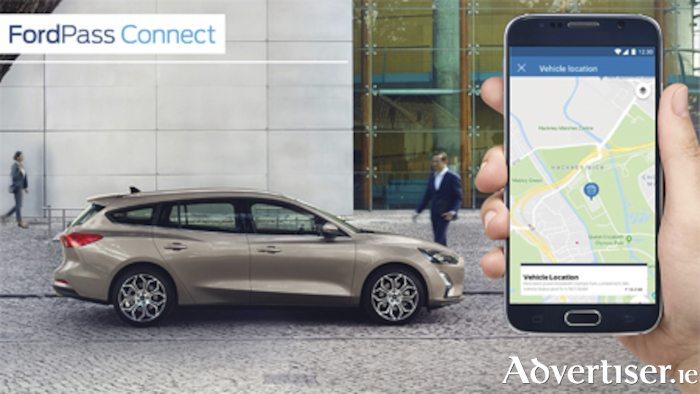 FordPass Connect is currently available on the latest all new Ford Focus and Transit Connect commercial vehicles. In the coming months, FordPass Connect will be extended to other vehicles in the Ford range. Page generated in 0.0867 seconds.